The ibis budget Nîmes Centre Gare hotel team welcomes you to Nîmes. Enjoy the sunny climate and exceptional heritage of Nîmes and the region from the TGV train and bus station located opposite the hotel. A 5-minute walk from the city center. 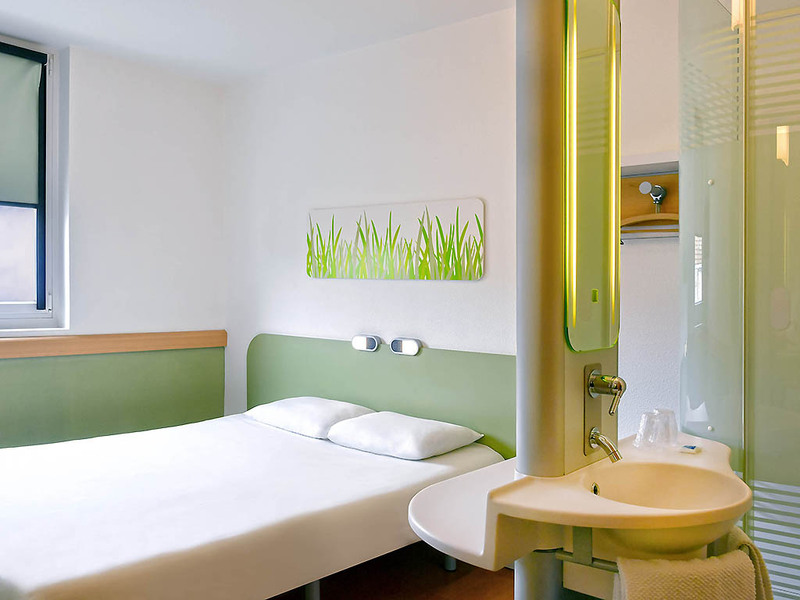 Located in the heart of the city, just a stone's throw from the train station and the old town, the Hotel ibis budget Nîmes Centre Gare boasts modern architecture and 55 cocoon rooms. All rooms are equipped with a flat-screen TV, air conditioning, a shower and free and unlimited WIFI. Enjoy this inviting, bright, friendly and original setting.